Text courtesy of Ron Erickson. 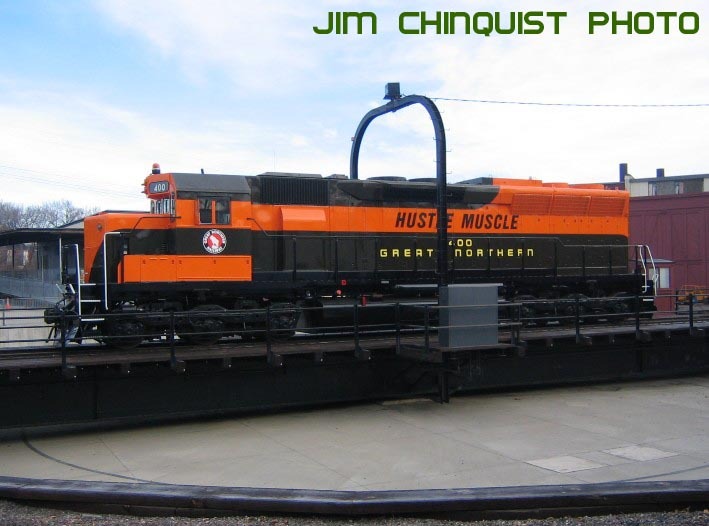 Great Northern 400, Hustle Muscle, GNRHS’ SD45 Diesel Electric Locomotive has been repainted in GN’s “Simplified orange and green color scheme. The painting was done by Wisconsin & Southern Railroad Co at their paint facility in Horicon, Wisconsin. 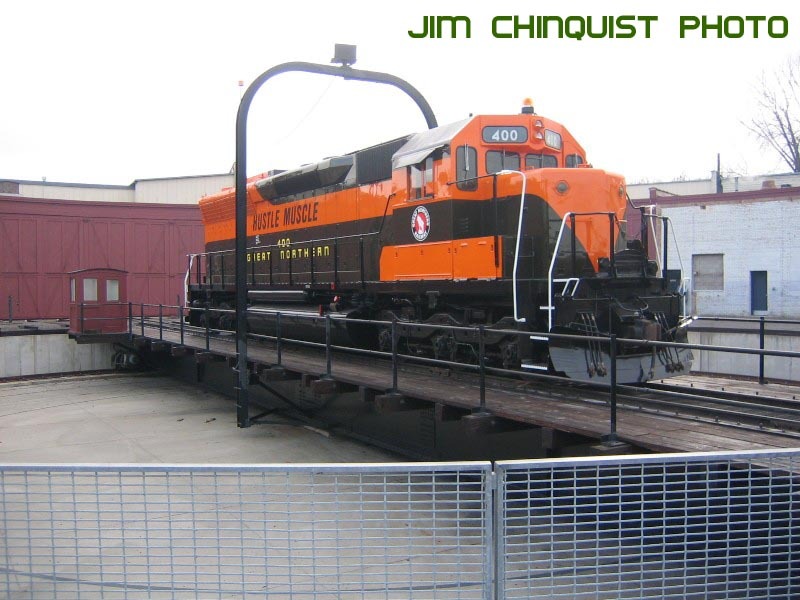 Fund raising has been going on for the past 2 years to cover the cost of painting the locomotive, liability insurance during the move and transportation costs. After more than 18 years since its last painting, from BN colors back to its original 1966 GN colors, it was time to act to preserve our historic locomotive. A substantial additional cost was incurred for body metal work needed after sand blasting as a result of rust and corrosion. 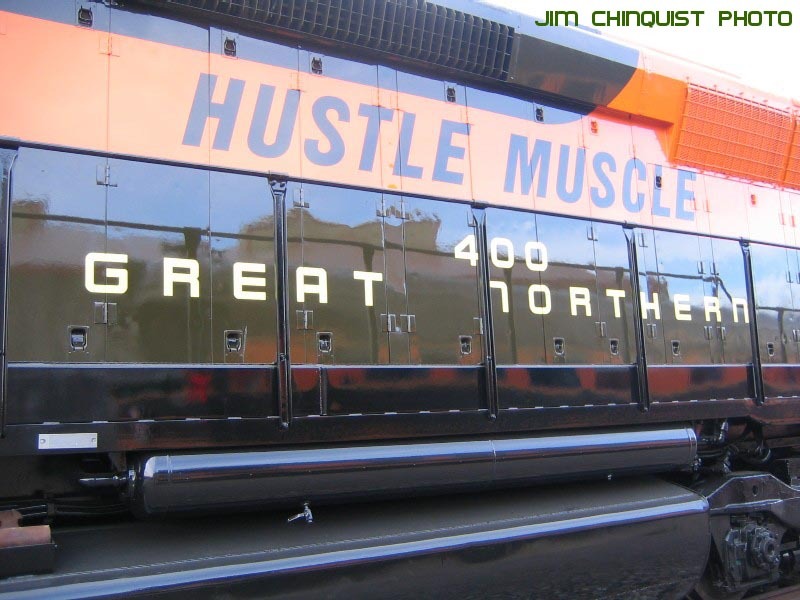 GN 400 was taken out of Jackson Street Roundhouse in St. Paul on September 25th, 2006. The BNSF moved it to CPR’s yard in St. Paul, CPR moved it “Dead-in-Train” to Milwaukee and the WSOR (Wisconsin & Southern) moved it to their paint shop in Horicon. actual painting was done November 1st through November 10th. 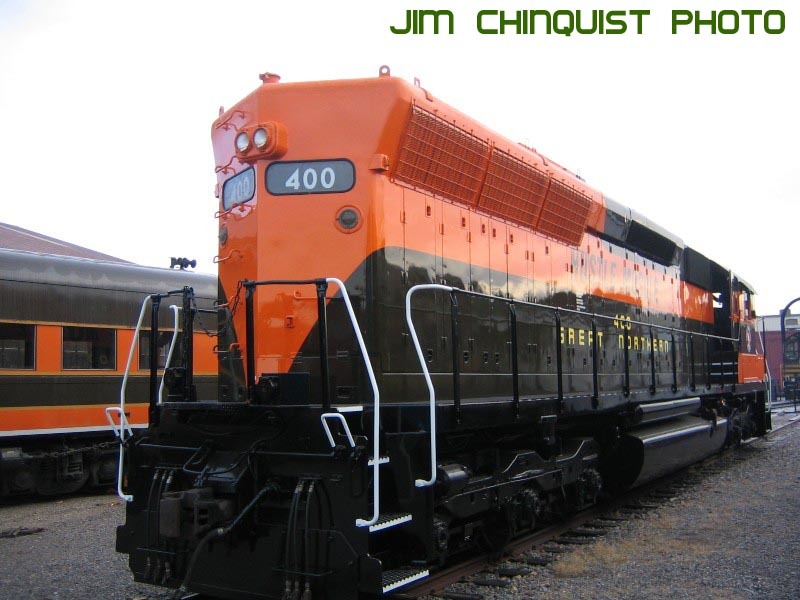 Specifications for this repainting were in accordance with Great Northern’s original “Styling and Painting” drawing used by EMD when 400 was first painted in La Grange when it was new in 1966. 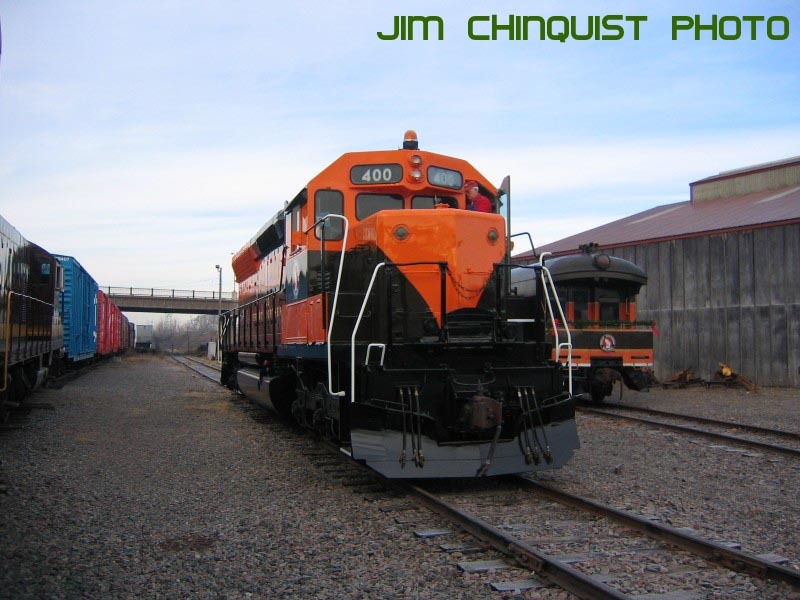 On November 16th, WSOR moved 400 “Dead-in-Train” back” to Milwaukee then CPR to St. Paul and BNSF to Jackson Street Roundhouse, arriving late November 20th. 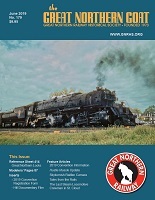 GN 400 is kept in a stall inside the Roundhouse where it is on display at the Minnesota Transportation Museum there. Photos courtesy of Ron Erickson and Jim Chinquist.